With adaptation, transit can serve the suburbs. Living in suburbia, owning a house, and watching the kids play on a green lawn was the American dream as early as the 1800s. 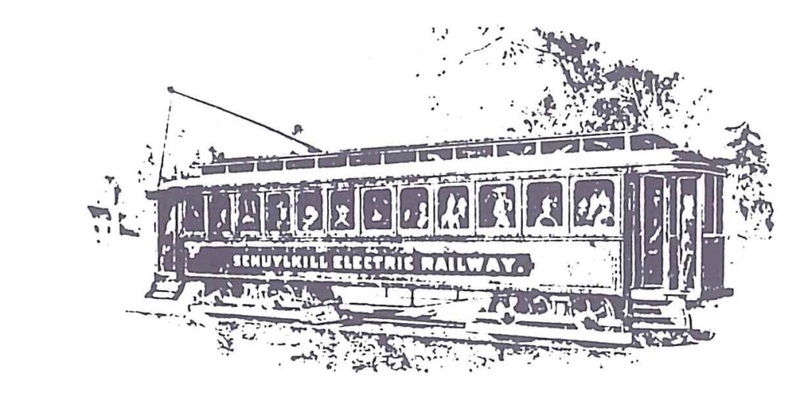 At first, mass transit was crucial to suburban life, with streetcars and rail lines providing access to new residential areas outside of cities. 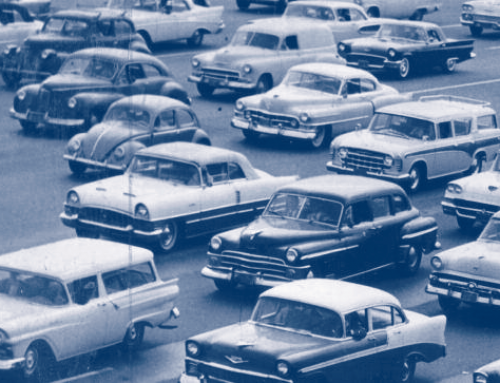 After World War II, as automobiles became even more popular and the pace of suburbanization accelerated, the American dream expanded to include two cars in every garage. For the mass transportation industry, this spelled disaster. From a height of 26 billion passengers in 1946, U.S. transit patronage fell steadily for thirty years, reaching 8.8 billion in 1980. 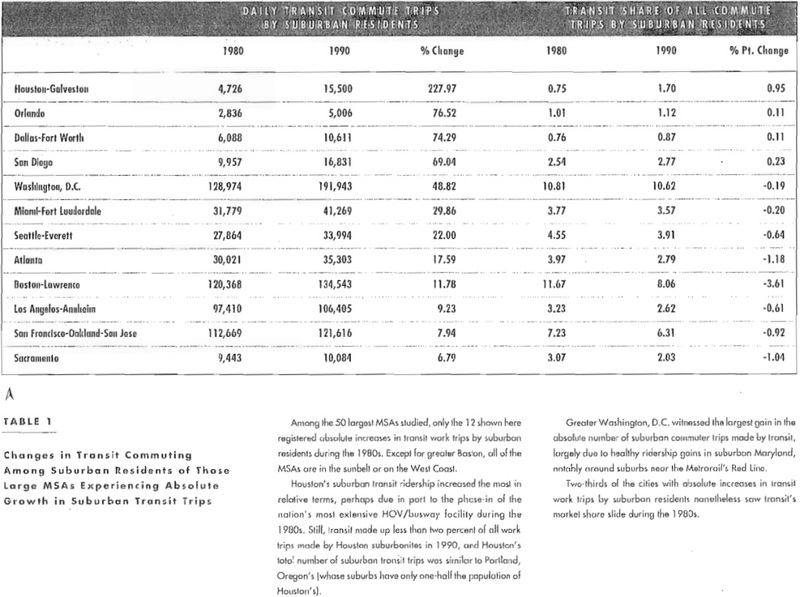 Through the 1980s, the total number of transit riders remained the same, but those numbers represented a smaller and smaller share of commute trips, from 6.4 percent in 1980 to 5.3 percent in 1990. Most suburban commuters do not use mass transit. In 1980, only 1.6 percent of suburban workers used transit to go to work, and that percentage, analysts agree, has likely fallen. Transit’s falling fortunes in suburbia are an outcome of many factors. Traditional fixedroute services radially linked to central business districts (CBD) are ill-suited for lateral, suburb-to-suburb journeys, the most rapidly growing travel market. 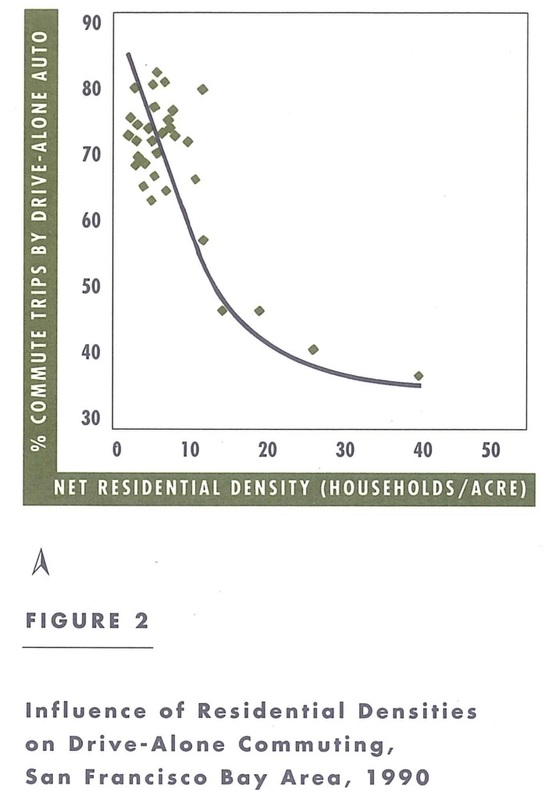 Also, most built environments in the suburbs are not conducive to transit riding. Low employment densities and the prevalence of abundant, free parking at most suburban workplaces induce many to solo-commute. A recent survey of over 300 office workers whose jobs were relocated from downtown San Francisco to the Bishop Ranch Office Park found that transit’s mode split plummeted from 58 percent prior to the move to only 3 percent after the move. Demographics and institutions also work against transit in suburbia. Suburban residents and workers tend to be more affluent and own more cars than their central city counterparts. Suburbs also produce high rates of off-peak and weekend travel, periods when bus headways tend to be longest. Service coordination is also sometimes hampered by a multitude of competing suburban jurisdictions. In the San Francisco area, for instance, some two dozen separate transit agencies operate bus services outside of central cities. Against these deterrents several trends could work in transit’s favor over time. As they mature, many suburban centers are evolving into relatively dense, mixed-use concentrations, varyingly referred to as transit-oriented developments (TOD), neo-traditional developments, and, at a larger scale, edge cities. Such hubs could form the building blocks for truly integrated regional transit networks. Increasingly, moreover, suburbs become home to the elderly, ethnic minorities, and new immigrants to the U.S.-groups that have historically been transit dependent. Tight and expensive housing markets are also creating a demand for condominiums and apartments near rail stations in some suburban areas of the country. And clean air requirements are forcing some non-attainment areas, like greater Los Angeles, to actively promote transit-oriented and infill development. At the simplest level, two possible policy sets might respond to decentralized growth: (1) adapt land uses to make them more serviceable by transit-e.g., greater densities and mixtures of uses; and (2) adapt transit services, making them more flexible, demand responsive, and suitable to serving dispersed origins and destinations. Transit works best when it connects relatively dense nodes along radial axes. Having mixtures of apartments/ condos, office towers, and other mixed uses is also needed for balanced, two-way flows. Greater Stockholm and Toronto have such built environments, and operate world-class rail systems that handle upwards of three-quarters of all suburban work-trip origins and destinations. Currently Bay Area Rapid Transit (BART) planners are working with local officials and developers to create transit-based communities near several suburban BART stations. Several plans call for converting portions of park-and-ride lots to housing projects, using lease revenues to help finance replacement parking structures. Besides boosting ridership, planners hope the new communities will allow riders to walk or bike to the station, yielding important air-quality benefits. Short auto trips to rail stations emit high levels of pollutants because of cold start impacts. For those who live farther than one-quarter mile away, electric vehicles might be promoted for accessing transit stations. Such a scenario is not far-fetched in California given that state law mandates that at least 10 percent of new car sales ten years from now be zero-emission vehicles. Several recent studies found a strong association between transit use and such factors as density, physical design, and proximity to transit stops in suburban settings. 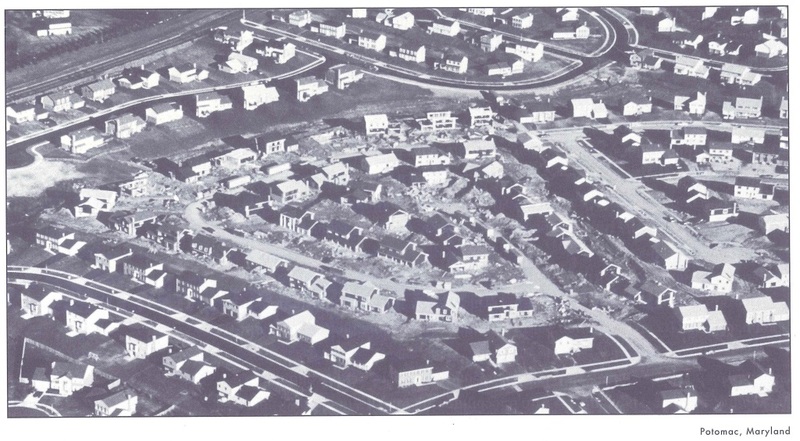 In the Bay Area, residents of traditional, pre-World War II neighborhoods (with mixed uses, moderate-to-high residential densities, and grid streets) traveled by transit 22 percent of the time, compared to only 3 percent for those residing in 1960s style suburban tract developments. Similar differences were found in the share of walking trips. The Washington, D.C. region provides the best evidence in the U.S. of how transitoriented development and high-quality mass transit services can shape travel choices. A Montgomery County, Maryland study found that workers from “transit and pedestrian friendly neighborhoods” use transit 8 percent to 45 percent more often than workers from neighborhoods conducive to automobile use (e.g., with curvilinear roads and no retail shops). All neighborhoods in the study were about the same distance away from transit facilities. Another comparison showed that workers in heavy business districts are more likely to use mass transit than those who work in smaller business areas. Among workers with similar incomes, 55 percent of those working in downtown Washington commuted by mass transit, compared to 15 percent of those working in a suburban downtown (Bethesda) and only 2 percent of those working in a suburban office campus (Rock Springs Park). In suburban Virginia, between 50 percent and 70 percent of residents living within one-quarter mile of Metrorail stations ride transit to work, reflecting high shares of government workers heading into the nation’s capital each morning. For those who live near rail stations but work outside the District, transit modal splits are under 10 percent. Although land-use strategies might encourage some transit-oriented development, for the most part American suburbs will continue to be spread out and auto-oriented. Thus another strategy is to adapt transit to this landscape by making it more flexible, interconnected, and ubiquitous- in short, more auto-like. Similar to telephone networks, for transit to survive in suburbia, it must cast a larger net to allow more patrons to get from anywhere to everywhere. One option is to reconfigure routes from radial (downtown-oriented) to grid (multi-destinational) structures. AC Transit serving the Oakland- East Bay area has begun phasing in such a system with good results to date. AC Transit’s ridership began falling in the mid-eighties as more and more jobs were locating in suburban areas away from its traditional routes. AC planners began phasing in the multi-destinational network in early 1989. Table 2 shows that ridership has risen noticeably in the two subdistricts where grid-like, interconnected services have been introduced. On the other hand, patronage in the rest of AC’s service area where traditional radial services remain has continued to fall off. Timed-transfer networks, wherein buses operate in sync to allow easy transfers at suburban transit centers, were first introduced in Edmonton and Calgary in the 1970s and have since caught on in a number of U.S. cities. With multi-centered transit networks, buses can better serve suburb-to-suburb trips. Tidewater, Virginia converted over to a timed-transfer network in 1991. Although ridership has fallen some because of the local recession, patronage has increased at the four largest employment centers in Virginia Beach. A recent survey revealed that three-quarters of Tidewater Transit’s customers prefer timed-transfers to previous services. Bellevue is the major suburban hub on Seattle Metro’s regional timed-transfer network. With seventeen Metro routes converging on Bellevue’s transit center on regular 15 to 30 minute intervals, transit has attracted about 10 percent of work trips to central Bellevue, a share unmatched in U.S. suburbs not served by rail transit. Bellevue’s parking supply caps have also had a hand in transit’s success. Dedicated busways and high-occupancy-vehicle (HOV) facilities improve suburban services because, unlike rail systems, vehicles can leave guideways and filter into low-density neighborhoods, reducing the need for the dreaded transfer. Ottawa’s 30-kilometer busway captures as many as one-third of all trips to several large shopping plazas and work centers outside the core. Houston is building what is being touted as the world’s largest transitway system (95 miles in length by 1995), a seemingly perfect technology for a region that is spread out but features two dozen or more large-scale activity centers. Despite strong economic growth over the past few years, Houston’s average freeway speeds and transit patronage have increased faster, and arterial congestion levels have fallen more than any large U.S. city over the past five years. A variation of transitways is tracked-guided buses, or 0-Bahns, introduced with some success in Essen, Germany and Adelaide, Australia. In these places, buses operate like electrified trains on the line-haul segments of trips and like diesel coaches on the feeder ends. Such technologies provide obvious flexibility advantages for intrasuburban trip-making. Paratransit services, like jitneys, shared-ride taxis, and minibuses, are well suited to suburbia because of their curb-to-curb features. One promising marriage is paratransit and AVL (automated vehicle location) technologies. Satellite vehicle tracking systems enable vehicles equipped with sensors to be located and promptly dispatched to customers so as to minimize waits, detours, and deadheading. In Germany, A VL-aided paratransit services flourish in many suburban areas. There, an assortment of micro buses, minibuses, and maxibuses with sensors mounted on engine blocks are in continual contact with central computers that optimize dispatching and routing of vehicles to handle ride requests. Average passenger waiting times of seven minutes have been reported, and most paratransit operators are recovering 80 percent of full costs through the farebox, two to three times more than most U.S. suburban transit services. Fixed-route, fixed-schedule transit services can no longer effectively compete with the private auto in suburbia. Recent census statistics reveal that transit’s market shares are rapidly eroding nearly everywhere. Major policy reforms are needed. 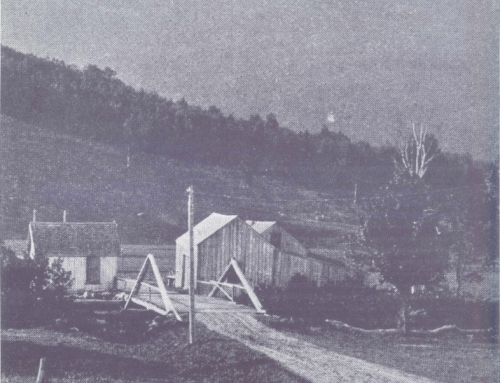 We are well advised to borrow from yesteryear as we plan for the future. 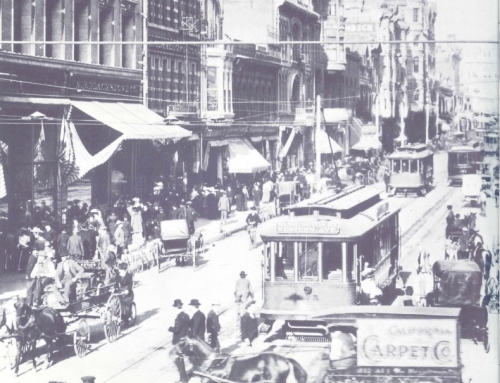 Early streetcar suburbs were successful in part because private entrepreneurs were allowed to link transit investments and land development, producing moderately dense, mixed-use land use patterns. Well over half of suburban rail services in greater Tokyo are privately built, typically by large consortiums that link transit investments to new town development. Private jitneys and other forms of paratransit also thrived throughout U.S. cities in the early part of this century but were later regulated out of existence at the urging of taxi operators and bus companies. Given the freedom to operate, door-to-door van and jitney services, similar to regional airport shuttles, would likely emerge in many suburban settings, tapping new market niches like suburban mall and office complexes, regional sports stadia, and recreational theme parks. We have tried the model of publicly led transit and privately led land development over the past 50 years with disappointing results. We should encourage developers to link transit and real estate projects just as they are currently doing through tollway franchises throughout California and other states-hopefully creating more transit-oriented communities in the process. While the private sector is probably best suited to responding to the needs of suburban travelers, there will always be an important role for the public sector as well-such as assembling rights-of-way for dedicated busways, providing startup funds for implementing satellite-based vehicle tracking and dispatching systems, and zoning for moderate- to- high density housing around major transit stops. In combination, profit-seeking entrepreneurs and community-minded governments are in a position to create the kinds of transit services and built environments that within a decade could allow transit to compete successfully in suburbia with the automobile. Robert Benke and P. Woodworth, Integrating Transit, Paratransit and Ridesharing Via IVHA/FOCCS Technologies, Honolulu: Aegis Transportation Information Systems, 1991 . 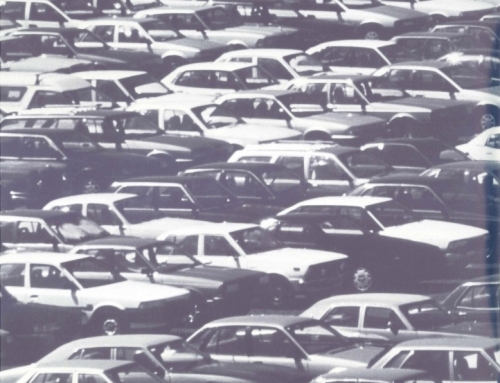 Robert Cervero, Suburban Gridlock, New Brunswick, New Jersey: Center for Urban Policy Research, 1 986. Robert Cervero and John Landis, “Suburbanization of Jobs and the Journey to Work,•• Journal of Advanced Transportation 26, 3: 27S-298, 1991. UCTC No. 83. Fehr & Peers Associates, Metropolitan Transportation Commission Bay Area Trip Rate Survey Analysis, Oakland, California, 1992. J. Hanks and T. Lomax, “Roadway Congestion in Major Urban Areas: 1 982 to 1 988,” Transportation Research Record 130S: 177 189, 1991. JHK & Associates, Development Related Ridership Survey II: Washington Metropolitan Area Transit Authority, Washington, D.C.: WMATA, 1989. 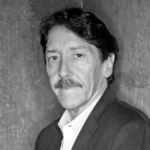 David Jones, Urban Transit Policy: An Economic and Political History, Englewood Cliffs, New Jersey: Prentice Hall, 198S. Maryland-National Capital Park & Planning Commission, Transit and Pedestrian Oriented Neighborhoods, Silver Spring, Maryland, 1 992. Allan Pisarski, New Perspectives in Commuting, Washington, D.C.: Federal Highway Administration, 1992. C. Purvis, Bay Area Travel and Mobility Characteristics, Oakland, California: Metropolitan Transportation Commission, 1992. Sam Bass Warner, Streetcar Suburbs, Cambridge: Harvard University Press, 1962. 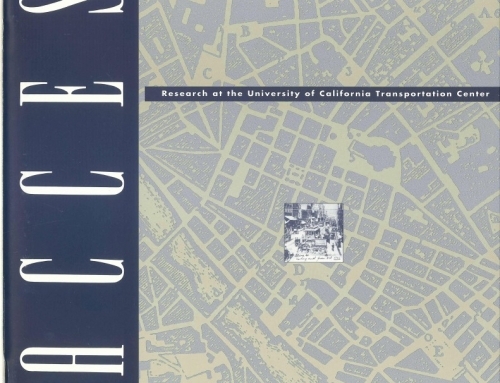 Melvin M. Webber, “The Urban Place and the Non Place Urban Realm,” Explorations into Urban Structure, Philadelphia: University of Pennsylvania Press, 1 964.